Worried about that Prom night you have asked her out for? Want everything to be absolutely perfect for that ‘one’ special day, when you will tie the knot with your beloved? Have that business meeting coming up, where that need to make an impression right from the beginning is really strong? A beloved one is preparing for his or her last ride, and you want it to be grand, just the way he or she deserves? If any of these issues are on your mind right now, ULC Limos’ Placentia Limousine rental service can promise you that if you choose its’ services, you will never have to worry about any of these issues on your mind again, because UC Limos’ Placentia Limo rental service’s excellent customer care policies will ensure that the special moments of your life stay special, always. At ULC Limos Placentia limousine rental service, we believe in providing you service that will make you come back to us, every time you want to make your special occasions even more special. Our fleet of best quality Placentia limos and Placentia party buses, with well maintained and impressive exteriors and plush interiors that redefine comfort will not only give you a lot of options to choose from, but will also make sure that all your needs are covered. Try us once, and you will know what makes ULC Limos’ Placentia limo rental service different from other local limo rental companies. Do not believe us for what we tell you, take a look at our website, where our past customers have given their feedback on how much they liked our services. 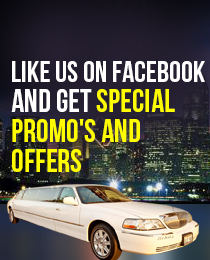 Which Placentia Limo is Right For You?